Since 1991 we have been providing quality parts or completely finished assemblies for residential, commercial, or industrial applications. Providing quality laser cut parts or completely finished assemblies for residential, commercial, or industrial applications. 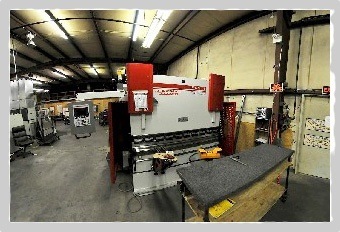 Our fabrication team will provide a solution oriented approach to your custom fabrication needs. With two laser systems and all employees focused on superior customer service, quick turnaround is the standard at Stainless Steel Specialties. Stainless Steel Specialties strives to be accurate and honest with customers in terms of quoting cost estimates and completion time estimates. Stainless Steel Specialties employees focus on delivering what they promise. This focus on building strong customer relationships is based on trust and integrity.